Sometimes a little run shows you more than you bargained for. It shows you what your real motivation is and what you are really made of. It shows you what kind of mental strength you possess when the physical is strength is fleeting. 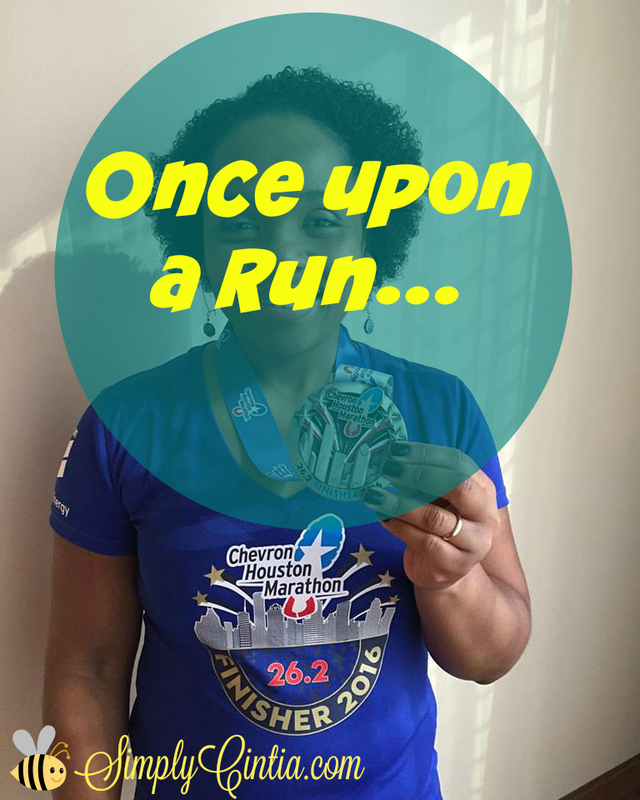 This is the story of my fourth half marathon. I did not have several things during this race: headphones, someone to run the whole mileage with me and an extra water bottle. I was prepared for the first two, the latter caused me a trip to the medical tent. The trip didn’t come until later so let me tell you about the race itself. My running buddies and I left around 5:50 a.m. and we headed downtown. There was a bit of a traffic delay due to an accident but we managed to get around it and arrive around 6 a.m. We found our running group, got our traditional photo, well-wishes and hooyah. I managed a quick trip to the bathroom and off we went to the start line. I decided to take a bottle of Ucan with me and drink water at the water stations. I stopped at every single one of them but the heat and humidity required extra water for my body. Miles 1-8 were okay. I kept what I considered a good pace and I was on track to finish around 2:30 I did feel a little thirsty between water stations but I kept sipping on Ucan when that happen. During miles 9-13 I did a body check and everything felt okay as far as my muscles and my mind. I just couldn’t go any faster. My vision started to get a little blurry and I was strong in my mind. I made peace with the fact that I wasn’t going to kill myself on a warm day but I was going to finish strong. I finished in 2:47:30, I got my medal, hugged a few necks and went straight to the food line. I recorded a Facebook Live video to celebrate the fact that I finished what I had started and to show how marvelous the end of a race really is. I sat on the lawn and ate my breakfast (which was magnificent by the way) with my running buddies. I decided to get up and head out when I felt dizzy. I sat back down and I felt really nauseous. My friends told me to move to the shade and I started sweating like crazy. The medics came and I was off to the medical tent. Every person that helped me was marvelous. I tell you one thing I did right: I run with my ID and it paid this time because I needed it several times. My blood pressure was low (which is unusual for me) and every time I was asked to stand up so they could measure it, I felt dizzy. The EMS guys told me they were taking me to the hospital. I was like, “where are you taking me exactly?” to which he responded “Where do YOU want to go?” I said “Methodist Sugar Land.” He said “well, that’s a little far, why don’t we take you somewhere in the Med center?” so I chose Methodist Hospital. I grabbed my water bottle, my hard earned medal and my ID and off I went. The ride in the back of an ambulance can be strange. I looked outside of the window and I saw familiar streets. It was neat to sense that there was a red light but we drove right through it. While I was back there, they tested my heart (good as gold) my glucose (great) and I saw that my blood pressure wasn’t dangerously low. They also started an IV but I didn’t get any liquids on the ride to the hospital. Another reason to be thankful: every health professional that helped me was in a great mood and they were really funny! I kept trying to call Zeke, who was on stage at church when all of this happened, but I reached a good friend who found him and took care of the kids that afternoon for us. God really takes care of every detail of my life. We asked my friend not to tell the kids what happened to me so they wouldn’t be worried. I’ll be honest and say that I saw a doctor quicker than I expected at the ER. Out of thousands of doctors who could have showed up in my room, God sent me a guy who works the medical tent at Ironman competitions. He told me he’s seen it all when it comes to athletes and he’s used to taking care of them. When I heard that, I thought, “I KNOW God loves me!” He took care of even a detail such as this. How marvelous it is to serve Him. All my blood tests came back normal. The doctor thinks that I just got dehydrated so I did get IV fluids. As soon as I took the fluids and I sat there for a while with Zeke, I was back to normal. I was discharged a few hours later and I was back home ready to love on my kids. I did tell them what happened before they went to bed. I was determined to tell my own story. I told them a story of thankfulness to God, family, friends and health professionals. I told them I was okay and to be honest, they couldn’t believe it because they didn’t see any signs of illness in me. They went to bed happy about a day that didn’t go as expected but turned out to be a good one. I expected and prepared for a PR at this half marathon. 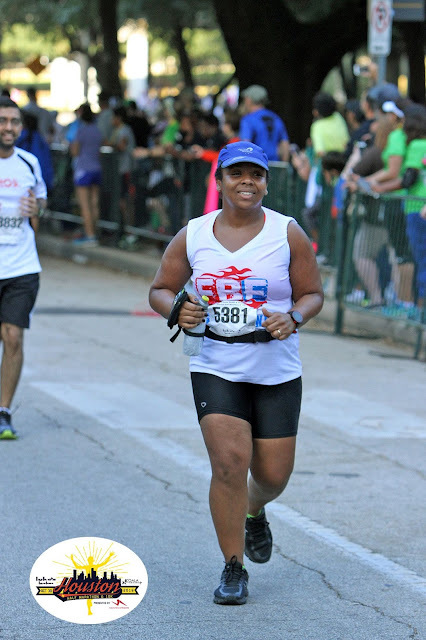 I was wisely told by a friend that even if I experienced roadblocks, I shouldn’t give up on my ultimate goal of running a strong Houston Marathon. I did not get a PR but this race was both "the test and the classroom." The test showed me that I have what it takes to cover the distance. The classroom taught me to take care of the basics and to be extra careful with hydration and nutrition in every run. The test showed me what I’m made of. The classroom taught me how wonderful my God is, who faithful and true my family and friends are. I am resting today and feeling thankful for how things turned out yesterday. All things really do work for the good of those who love the Lord. On a funnier note, I have officially joined the ranks of those brave runners who have visited the medical tent one time or another. Is there an extra badge for us? LOL!